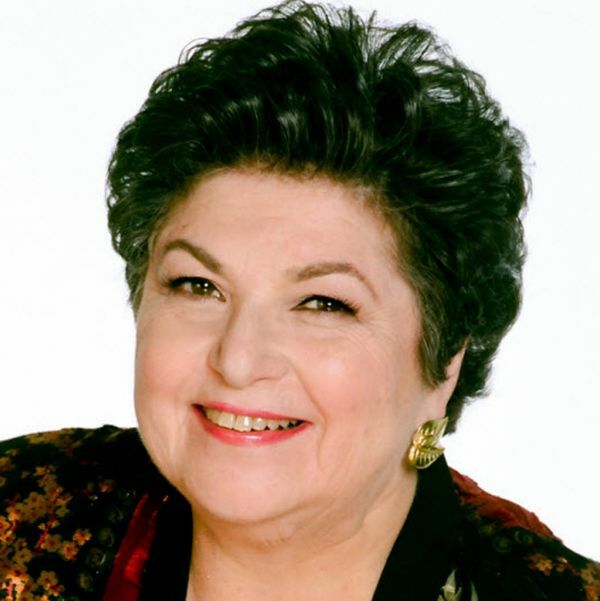 With sadness, we share the news that our president, colleague, and friend, Susan J. Ellis, passed away on February 24, 2019. Read and share thoughts and memories of Susan. Isolation Is Not an Option [Archive 2014] - Susan J. Ellis and Rob Jackson insist that in volunteer management, the need to connect remains critical, even as communication methods change. But, with all the tools and technology at our disposal in the modern world, are we networking and collaborating effectively? Unleashing the Untapped Power of Volunteers as Advocates [Points of View] - Rob Jackson and Erin R. Spink ask an important question: In responding to scandals and controversies that have tarnished the previously good name of trusted organizations, why aren’t nonprofits making the most of some of our most passionate advocates—volunteers? Cutting Waste and Feeding the Hungry: Volunteers Lead the Food Redistribution Revolution - This Along the Web looks at some of these creative food redistribution programs, with featured websites, video clips, volunteer stories, and first-hand accounts of volunteers leading this revolution. a Feature Article that explores whether or not technology, such as robotics, artificial intelligence, drones, and computers, will displace many volunteer professions. a Training Designs article about training exercises developed by the head of volunteering development at The Myton Hospices, to help staff gain a better understanding of volunteering, provide clarity around staff roles and responsibilities for supervising volunteers, and give ideas to manage volunteers well. A Research to Practice article by Laurie Mook explores why volunteer resource managers leave their jobs at a rate almost double that of the nonprofit sector in general - and what can be done about it. Trainer Steve McCurley shares how to consider short-term volunteering as an opportunity, not a challenge as many organizations do. Learn the steps to transform those one-time volunteers into your most dedicated volunteers. March 14, 2019, 1:00 PM EDT - Sign up for a chance to look inside the Everyone Ready volunteer management training program. We'll provide a ten-minute demonstration of the program, including a look at the Learning Center with 40+ volunteer management topics. When we are done, you can ask your questions! Registration required. A Virtual Tribute to Susan J. Ellis has been organized by friends and colleagues to bring people together and celebrate her life and legacy. AL!VE ( Association of Leaders in Volunteer Engagement) has generously offered their "webinar room" via Zoom for the gathering. Days of service like Global Youth Service Day aren’t just times to serve, but also a time to reflect on, demonstrate, recognize, and celebrate the service that’s been done throughout the rest of the year. Visit the Celebrate Young Leaders page for ideas on how to appreciate and encourage young volunteers who are serving for your causes. The point is to recognize your own reaction to the word volunteer. If you cannot picture a highly skilled, financially successful, mission-committed person donating time to your organization, it will never happen! Or, rather, you won’t create the type of volunteer opportunities most likely to attract high-caliber people. There are lots of other terms, and you’ll learn more about the special issues of some of them later in this book. The important point is to get beyond the words and see volunteer engagement as tapping the community for skills and talents to direct at meeting your mission or furthering your cause. Given this look at all the words that imply volunteering, you might consider another name for this effort altogether rather than “volunteer program.” Maybe you want a community resources office or a community engagement team. If this helps everyone to reimagine volunteering, give it a try. 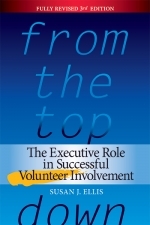 From From the Top Down: The Executive Role in Successful Volunteer Involvement, 3rd Edition, by Susan J. Ellis, 2010, pp. 7-8. Permission is granted to reprint this excerpt. Reprints must include all citations and the statement: "Found in the Energize online library at http://www.energizeinc.com/store."